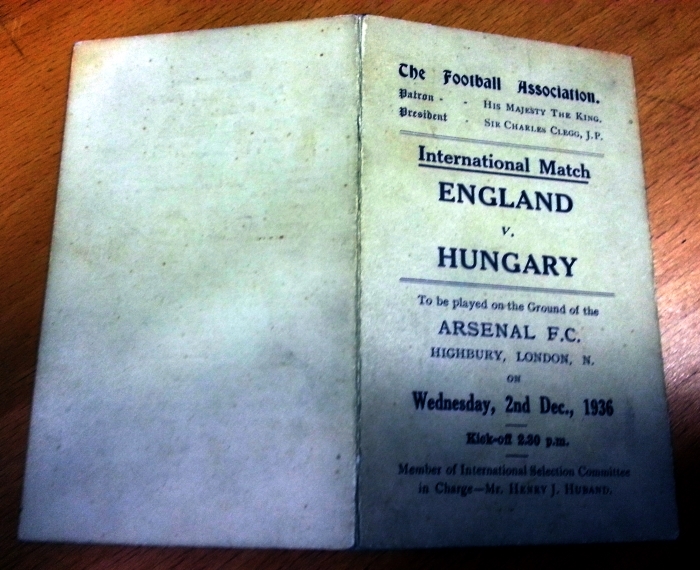 This player schedule was given to Bolton Wanderers player and England international Ray Westwood prior to his appearance for the national side against Hungary in 1936. It details travel arrangements to and from the game and hotel. The game, which was played at Highbury, saw England run riot to win 6 – 2. Eric Brook opened the scoring, only for Laszlo Cseh II to pull a goal back a minute later, but a Ted Rake hat trick and goals from Cliff Britton and Raich Carter saw England run away with the game.